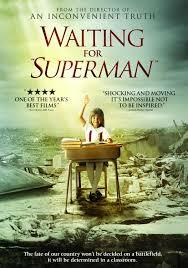 Come watch ‘Waiting for “Superman”’ after school on Friday. Hang out with other Magnolians, students and parents alike while we knit stronger community bonds. For the whole school, students, parents, staff and anybody else who’d like to attend! More about the movie: This 2010 film about the American education system received the Audience Award for best documentary at the 2010 Sundance Film Festival. The film also received the Best Documentary Feature at the Critics’ Choice Movie Awards. Please sign-up for snacks, finger foods, hors d’oeuvres and desserts. Thank you for all your kindness in supporting the school community! This entry was posted in Events, Parents, School, Students, Teachers and tagged "Waiting for Superman", California, charter, Child, children, community, movie, MSASCPTO, screening. Bookmark the permalink.